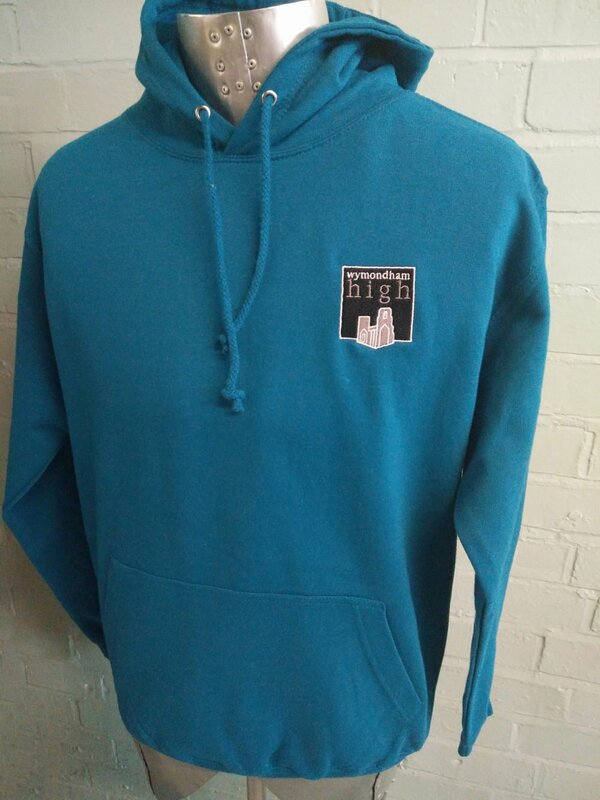 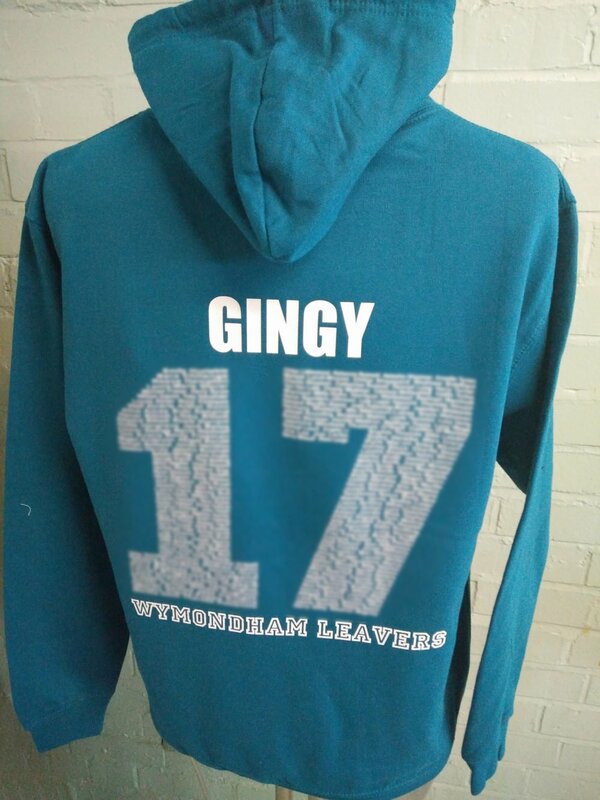 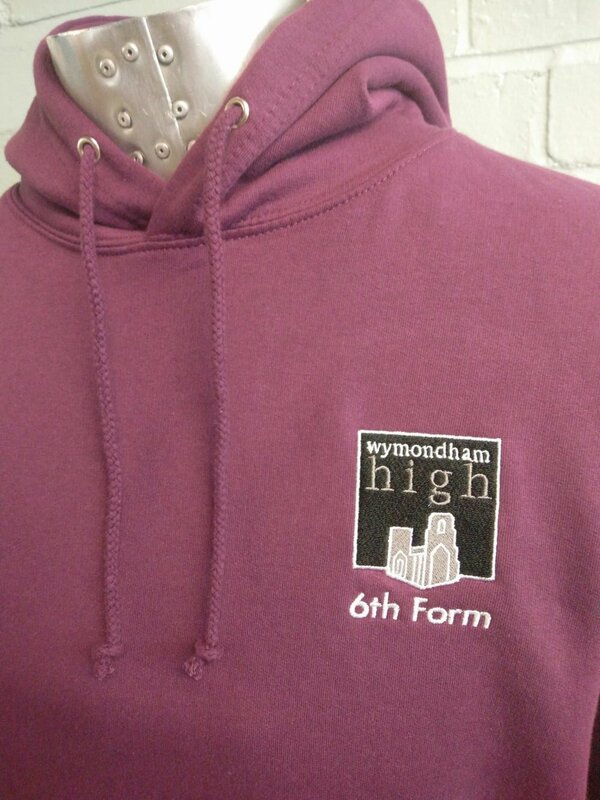 Looking great for Wymondham High are these 2 colour leavers hoodies. 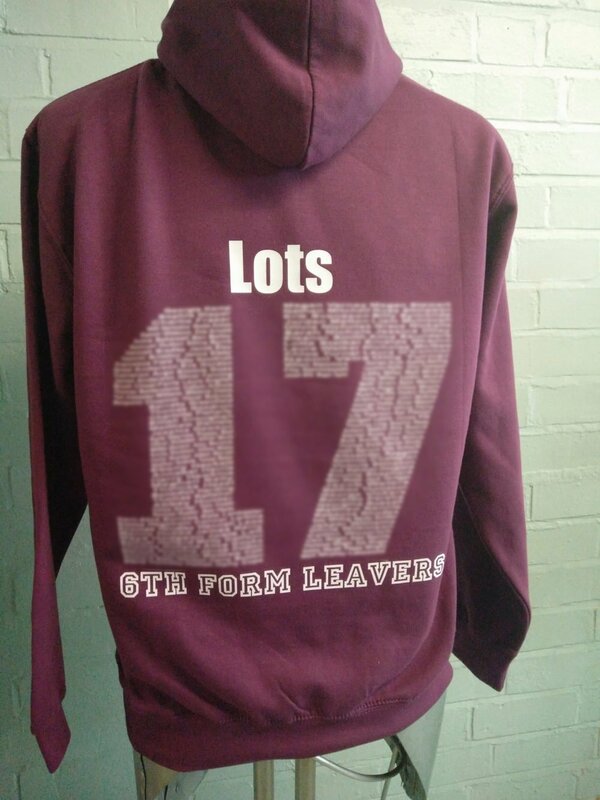 The burgundy ones are for the 6th Form. 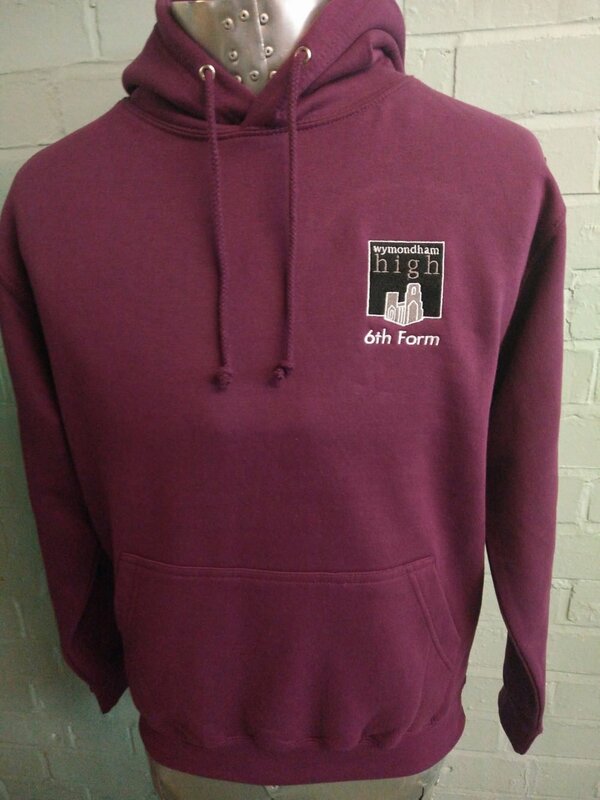 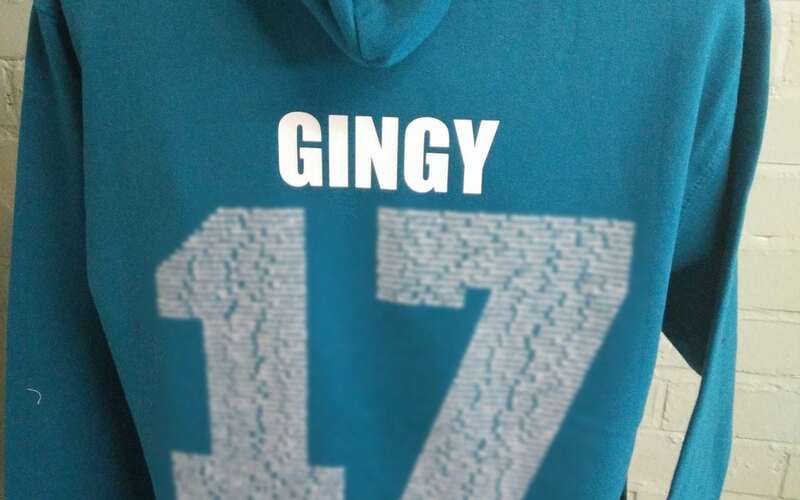 Hoodies are in blue and burgundy with custom embroidered logos on the front and leavers print on the back.